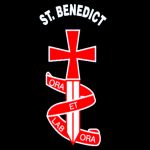 Saint Benedict Catholic School is a Catholic learning community which values a strong relationship between home, school and Church. 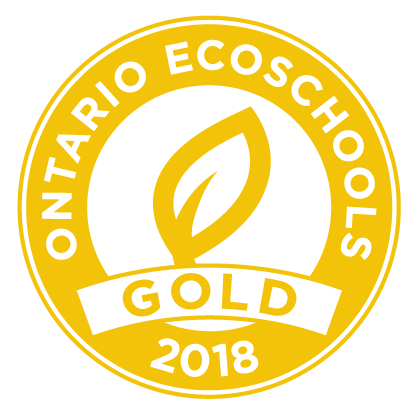 This community is committed to supporting and enabling each and every student to develop and achieve success in all areas of physical, emotional, spiritual and academic growth. We strive to create a safe and inclusive learning environment as we model and teach Catholic virtues, and character traits, which are evidenced in all of our interactions in and around the school. We seek to create a climate of respect as we recognize, celebrate and value our similarities, differences and uniqueness. Our interactions, here at St. Benedict C.E.S will carry us forward throughout our lives as we seek to always be a part of the solution, whatever problem we may face. We love St. Benedict, primarily because of the students and the community. If you’ve attended any of our school masses, you’ll know (thanks to our choir teachers) our music is beautiful and our students are involved and attentive. Our EQAO scores have been on a steady upward trend, thanks to great parental support and solid teaching. Your children are polite and respectful. They know how to listen and they are ready to learn. Our Catholic School Council, made up of moms and dads like you, works closely with the school to do good things for our students, including offering our Healthy Snacks program, Hot Lunches and the annual Fun Fair. Thanks to your generous contributions to our annual fundraiser, St. Benedict is well equipped to deal with modern Educational Technology. We have a well used computer lab and, by September, we will have an Interactive White Board in every classroom. I often say that St. Benedict parents are second to none. You care about your child’s well being and you work with us for the good of our students. Curriculum and Parent Interview Nights are busy and productive. Our Annual Pot Luck Night is a well-attended, happy event, where parents mingle and get to know one another. Our Christmas Concert is jam-packed and positive. Thanks to volunteers on staff, our gym is always busy with team sports, skipping and more. Staff lead our choir and offer many extracurricular activities. Our custodians keep our school sparkling. St. Benedict is a warm and welcoming place. Students and staff say Good Morning. Students often hold the door for adults and for each other. The playground is a busy, happy place and, by and large, normal issues are quickly resolved. Trustee Marlene Mogado visits our school often and has supported us with our Technology goals and with our Music program. There are many more reasons of course … too many for this space.